One of the most overrated movie of November (the other one was New Moon) 2012 is about the destruction of Earth which was based on the Mayan calendar ending on December 21, 2012 and the alignment of the planets which happens only every 640,000 years. Now, this is another end-of-the-world flick with lots of viral advertising and promotion. The effects was the main selling point of this film as it showcase almost believable disasters like volcanic eruptions, cracking of the floor, tsunamis and every destruction you think possible. But that's it, after the awesomeness of the effects, everything fell behind short. The script, the acting, the music, all so-so. It is like a failed attempt of delivering memorable lines like in ID4 and Armageddon. 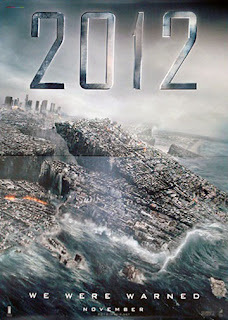 The movie is more like Noah's Ark 2012 only it will be realized at the later part of the film. Now, if the Earth's crust as the film claimed was really heating up, then all the body of water should have been boiling by then and the under sea volcanoes erupt like hell. 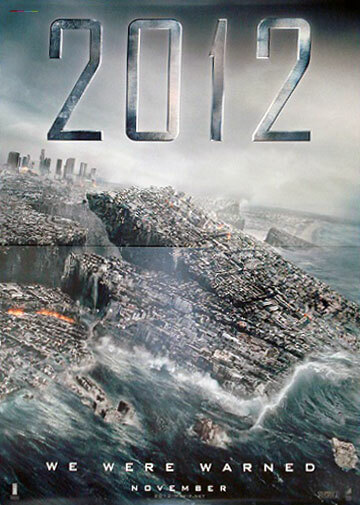 There were a lot of scientific inaccuracies, lazy script and heavy reliance on the CG visuals which strangely enough made others believe that it IS really the end of the world in 2012. If that's true, not even an ark can save humanity.